Johannes Gustavsson is one of Sweden’s leading young conductors. He is a versatile artist and conducts both symphonic and operatic repertoire on a high level with numerous leading Scandinavian orchestras and opera companies on a regular basis, including the Swedish Radio Orchestra, Stockholm Philharmonic, the Royal Swedish Opera, Gothenburg Symphony Orchestra, Gothenburg Opera, Oslo Philharmonic and Kristiansand Symphony Orchestra. In the present and coming seasons Johannes Gustavsson will conduct the Turku Philharmonic Orchestra, Odense Symphony Orchestra, Sønderjylland Symphony Orchestra, Helsinki Philharmonic Orchestra and Helsingborg Symphony Orchestra among others. Since 2009 Gustavsson has been one of the regular conductors of the Ostrobothnian Chamber Orchestra and from August 2010 to June 2014 he was First Guest Conductor with the Västerås Sinfonietta. The Nordic Chamber Orchestra in Sundsvall, Sweden, appointed him Artistic Advisor from autumn 2010 and the Oulu Symphony Orchestra appointed him Artistic Partner from 2011. In 2012, the Oulu Symphony Orchestra appointed him chief conductor for a period of three years. 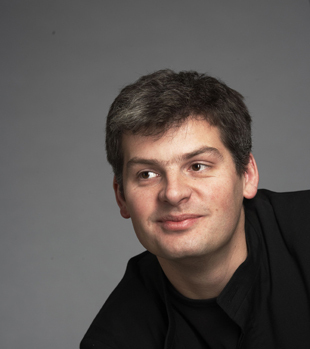 In July 2015, Johannes Gustavsson was appointed Chief Conductor at Wermlandsoperan in Sweden. Gustavsson has an extensive repertoire and he has premiered more than 30 orchestral works written by Nordic composers. Gustavsson has been awarded several times. He is the first recipient of the Swedish Conductors’ Award and the first conductor to receive the Herbert Blomstedt Conductor’s Award. He has won prizes in the Solti competition in Frankfurt and the Toscanini competition in Italy.